Questions of musical accessibility are relevant to most musical contexts but what does this term mean, how do we make contact with music and how do we decide what music to listen to? 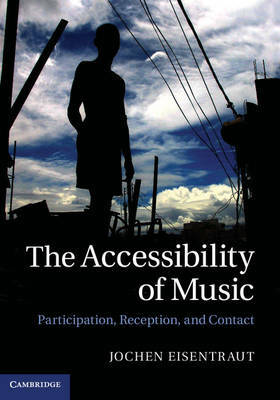 In The Accessibility of Music Jochen Eisentraut argues that musical judgements are often based upon implicit attitudes to accessibility, which need to be identified and exposed. Surveying a range of disciplines, including sociology, psychology, aesthetics and cultural theory, Eisentraut investigates how and why music becomes accessible and the impact of accessibility on musical and social hierarchies. The book is structured around three major case studies: punk vs progressive rock, Vaughan Williams and his ideas on art and folk music, and Brazilian samba, both in situ and in a global context. These are used to reveal aspects of musical accessibility at work and serve as a springboard for discussions that challenge accepted ideas of musical value and meaning.